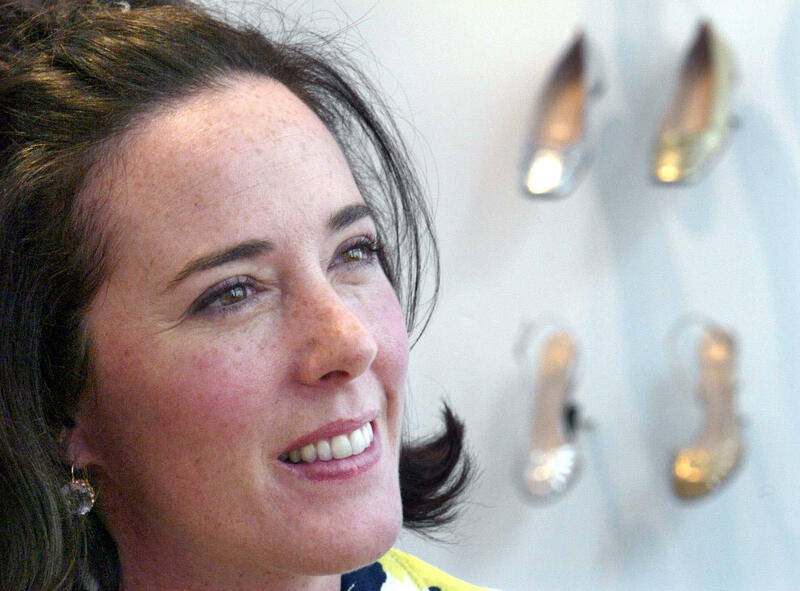 Before Kate Brosnahan became Kate Spade, a renowned fashion designer with a globally recognized brand bearing her name, she was simply a young woman annoyed by over-accessorized handbags. That frustration would launch what would eventually grow into a multibillion-dollar business. Starting in the early 1990s, Spade would create a line of sleek and feminine handbags that proved a particular hit with younger and career women. Along the way, she became a role model for a generation of women eager to make their mark in the fashion industry. Her suicide at age 55 brought expressions of affection and grief on social media, with fashion designer Liz Lange in a tweet recalling Spade as "the nicest woman" who offered supportive words when Lange was just starting out. "Kate Spade understood the power of fashion to create joy and celebrate femininity," recalled Susan Scafidi, founder and academic director at the Fashion Law Institute at Fordham University. "Her original handbags came along at a time when minimalism and the industrial aesthetic of the black Prada nylon backpack were in vogue, and she changed the game with her bright, whimsical, comparatively affordable creations." As the highly visible face of her brand, Spade became known for her 1960s bouffant and thick-framed glasses. Yet the look belied a savvy business woman whose company, Kate Spade New York, now has more than 140 retail shops and outlet stores across the U.S., and another 175 internationally. By the time of her death, some estimates put her net worth as high as $200 million. Before Spade launched her fashion line in 1993, she was an editor in charge of accessories at Mademoiselle magazine in New York -- a budding fashion maven weary of handbags that she viewed as excessive and overly complicated. "I wanted a functional bag that was sophisticated and had some style," she told the New York Times in 1999. On impulse ahead of an accessories show, Brosnahan stayed up all night to tear her small logo from the inside of her bags and stitch them to the outside. The eureka moment worked, with the tiny symbol helping to imprint the brand name on consumer tastes. She founded the company that same year with her husband-to-be, Andy Spade, with Spade's bright prints and bags drawing career women and then in later years, young girls. Within a few years she had opened up shop in New York's fashionable SoHo district. Anna Wintour, editor in chief of Vogue magazine, praised Kate Spade's impact on fashion and the fashion business in a statement Tuesday. "Kate Spade had and enviable gift for understanding exactly what women the world over wanted to carry," Winter said. "She launched her label at a time when everyone thought that the definition of a handbag was strictly European, all decades-old serious status and wealth. Then along came this thoroughly American young woman who changed everything. There was a moment when you couldn't walk a block in New York without seeing one of her bags, which were just like her; colorful and unpretentious. Kate designed with great charm and humor, and built a global empire that reflected exactly who she was and how she lived. Long before we talked about 'authenticity', she defined it." "There was a time in the late 1990s and early 2000s when everyone seemed to be carrying a Kate Spade bag -- or a Canal Street counterfeit," recalled Scafidi. "I remember once buying a generic handbag from a dodgy vendor and then being offered a selection of labels that could be hot-glued to it on the spot, Kate Spade prominently among them." In 1999, the Spades sold the business to Neiman Marcus. The business later changed hands several times, with the brand now existing as a subsidiary of Tapestry (which until 2017 was known as Coach). By the time of its purchase last year, Kate Spade was generating $1.3 billion in annual revenue and had a profit of about $120 million. On Tuesday afternoon, shares of the company were down nearly 1 percent. In 2016, the couple helped launch an accessories label called Frances Valentine, reportedly named after her two grandfathers. "Kate gave her customer a cheerful world of bows and polka dots, and her passing is an unexpected dark cloud," Scafidi said. The official Kate Sapde twitter account posted this memorial tweet.